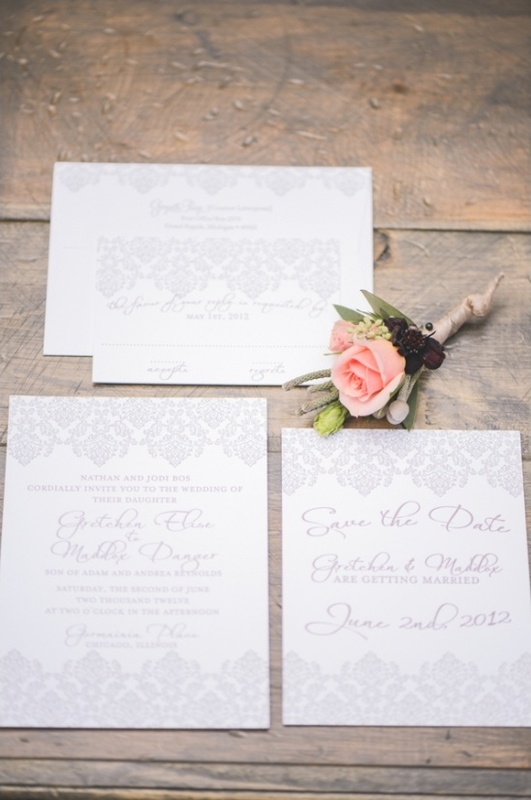 Picking out your wedding palate is just as important as selecting your wedding dress. The colors you choose have the power to set the tone of your day. 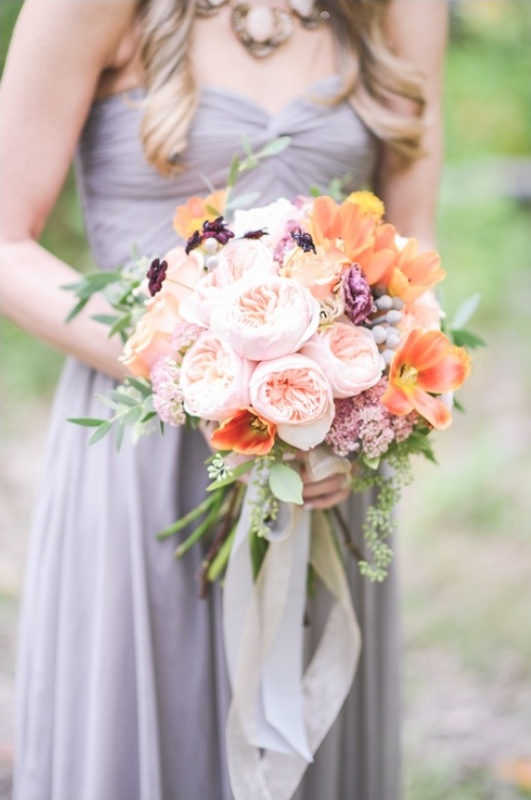 When selecting your colors take into account the season along with colors you naturally gravitate towards. 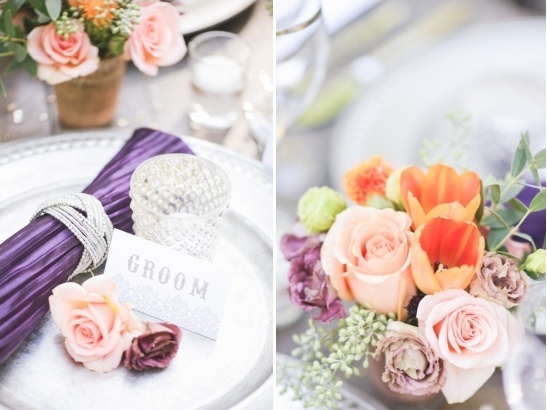 Our next wedding inspirational shoot is ideal for a fall wedding, and revolves a peach and purple wedding palette. All inspired by the changing of the leaves in the woods. 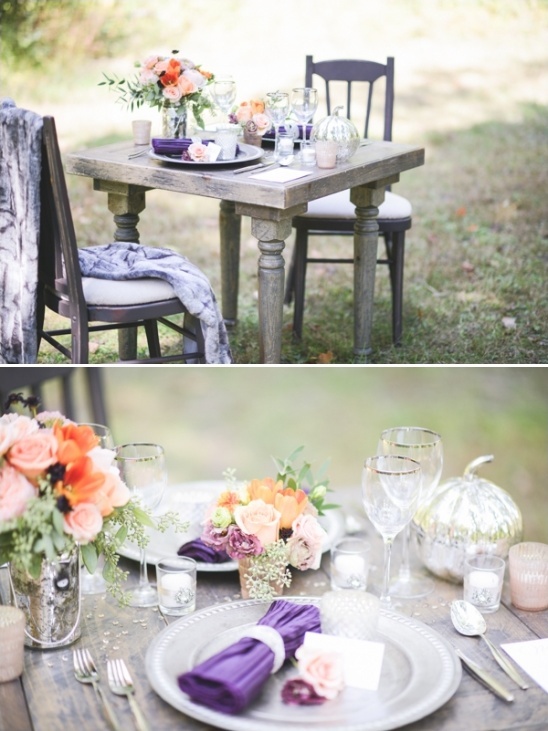 Excellent for a dreamy fall wedding. 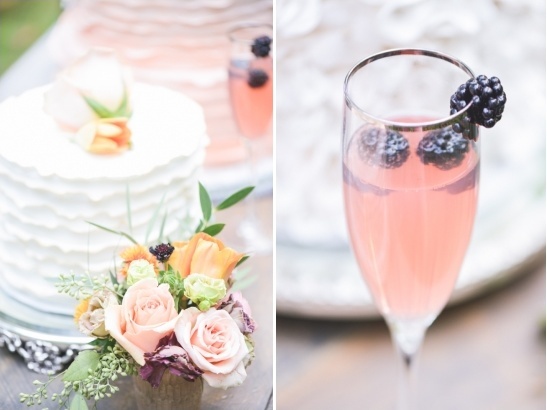 Photographed and styled by Tamara Gruner Photography with a plethora of pretty accents from a few fabulous Chicago wedding vendors. 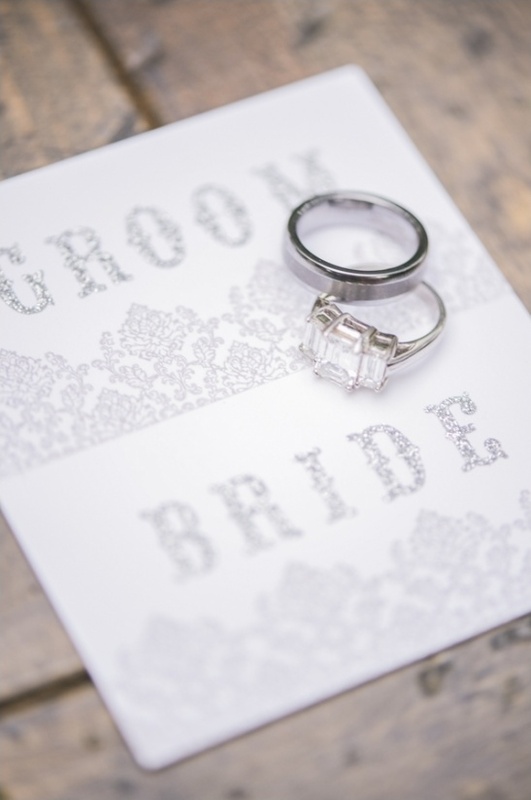 You can see more prettiness in the full gallery here. 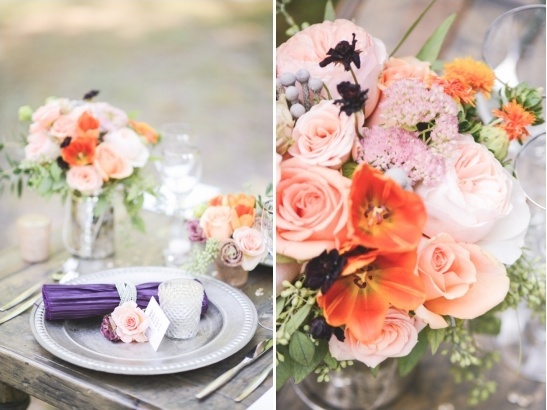 From Tamara Gruner Photography on all this gorgeous Peach And Purple Wedding Inspiration:Another aged farm table with two dark-washed Tuscan chairs was used as the dinner table reflecting the nature of the location. 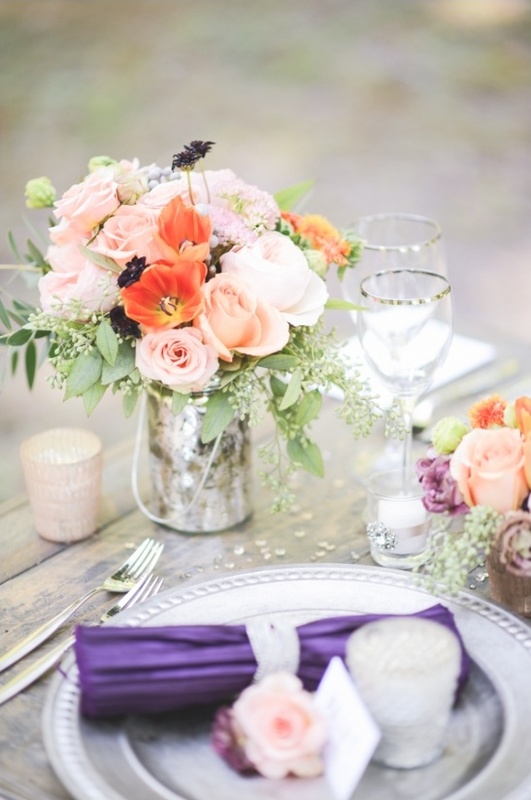 Fall with its colorful woods inspired us and we wanted to match our table decor, accordingly. 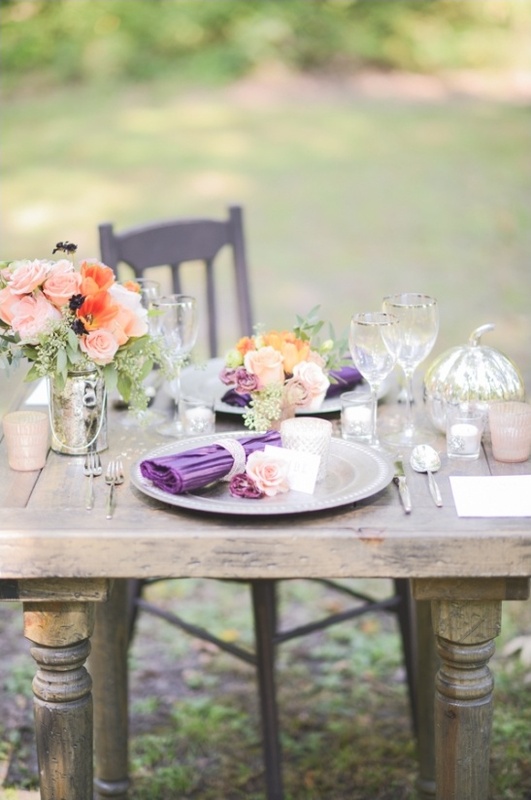 The decor consisted of antique-colored silver chargers, mercury glass candles and mercury glass pumpkins for our theme; the elegant deep purple napkins and floral design highlighted the colors of the changing leaves and woods during fall. 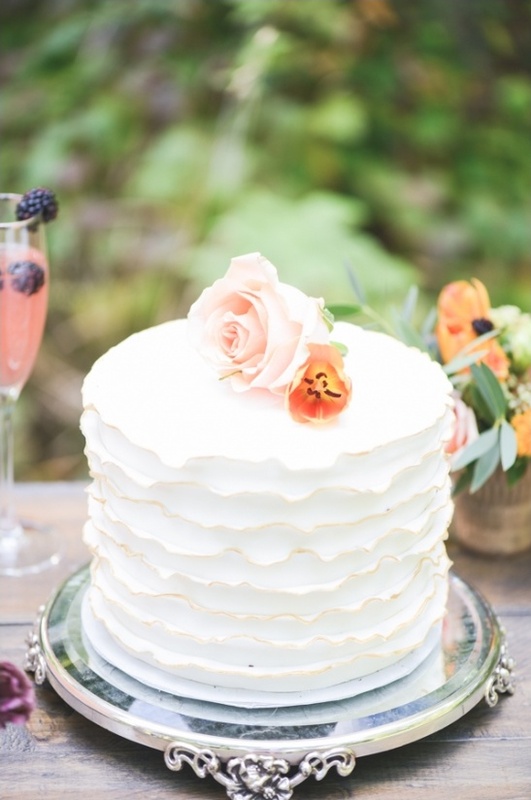 All in all an elegant, but soft, and yet dreamy fall wedding. 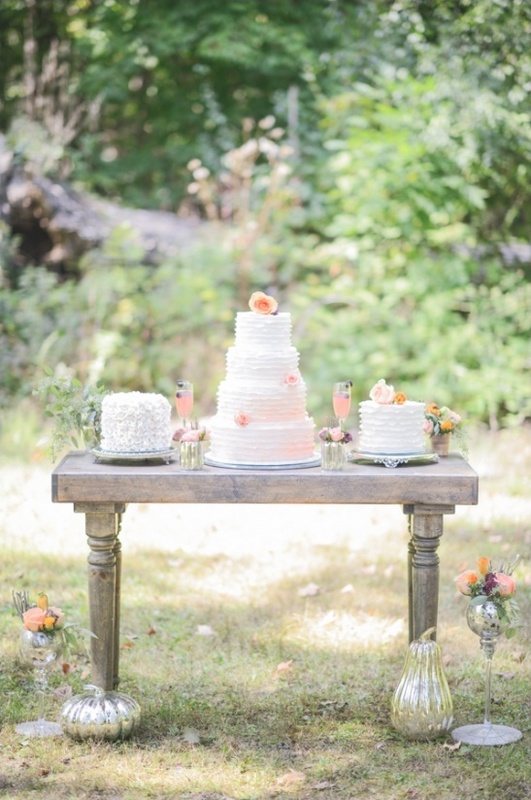 An aged farm table from Tablescapes was used as the cake table with three wonderful cakes, provided by Luscious Layers Bakery. 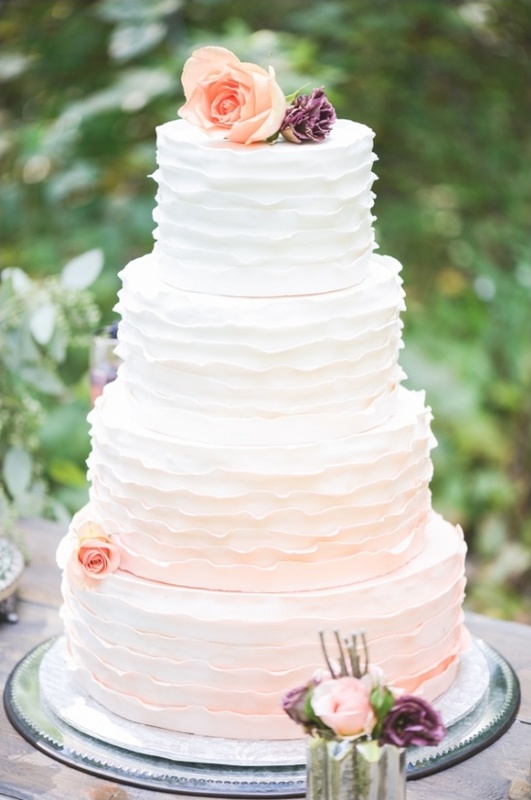 The cakes were placed on vintage cake stands, provided by Nimble Well. 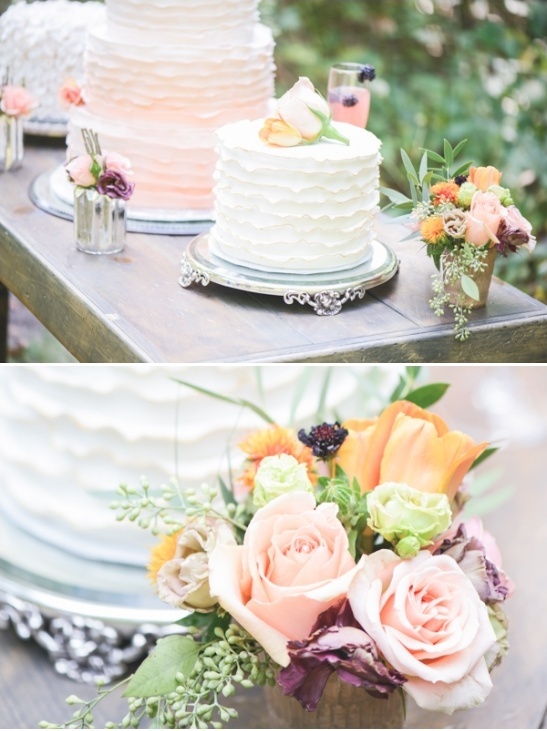 The cake table was decorated with beautiful whimsical flowers provided by Jazzy Flowers.